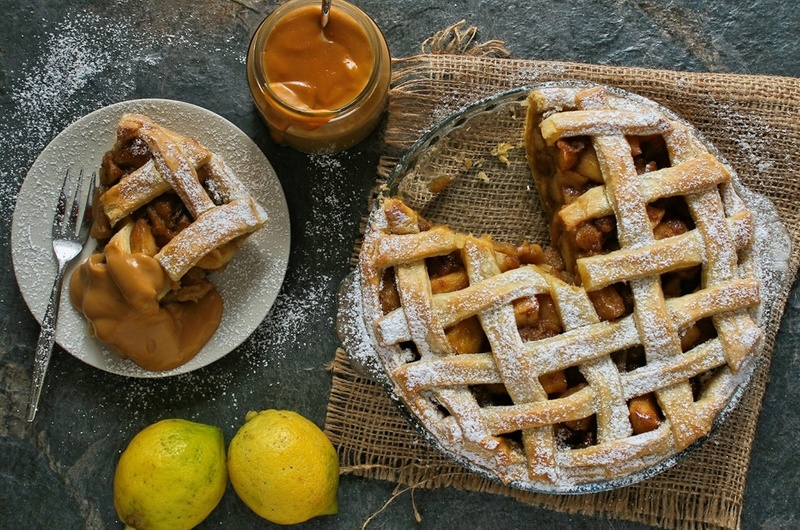 Peri peri chicken, spiced apple pie with creamy caramel custard, tomato tart with roast garlic and more! We’ve made it through yet another week and the much anticipated weekend has arrived! With the weekend comes the prospect of foodie heaven, because what’s a weekend without good food? It’s time to move easy weekday meals aside (just for the weekend) and tuck into the feast we’ve compiled for you! As it's Spring now, we’re slowly but surely opting for much lighter meals and we’re swapping our soups and curries for refreshing pastas and Spring tarts. It doesn’t seem like Cape Town has got the Spring memo quite yet, but the weather in other parts of South Africa sure seems glorious and what a better way to celebrate that with this feast? 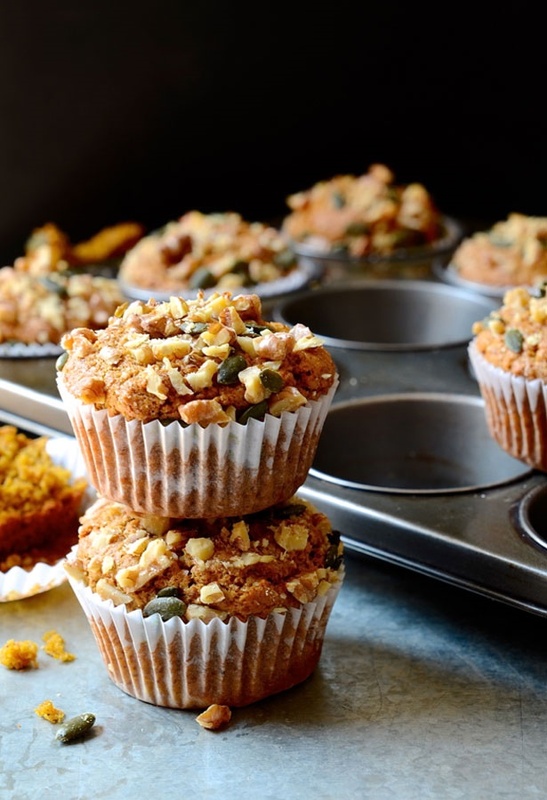 A fresh batch of these wholesome, Cinnamon spiced pumpkin muffins with walnut crumble will make an excellent breakfast option. This recipe also allows for a devilishly way to sneak some vegetables and fibre into your family’s diet! 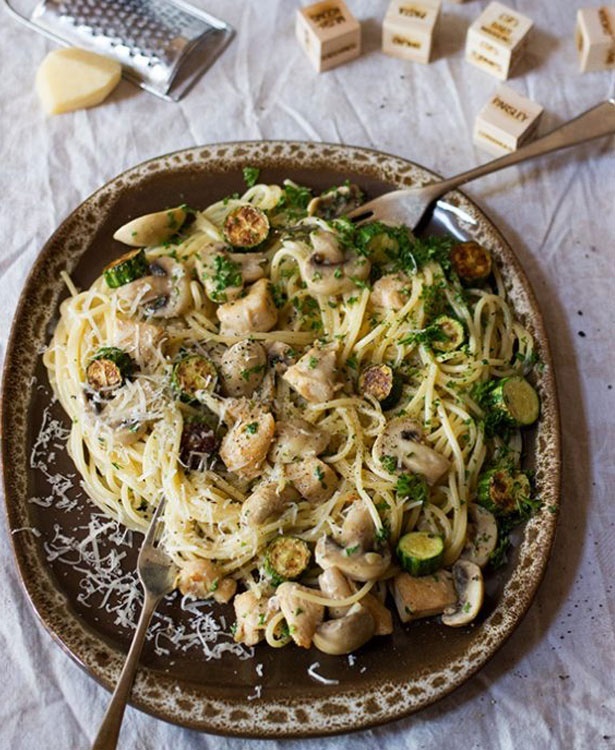 Weekend comfort food at its best, comes in the form of this spaghetti with chicken, mushrooms and zucchini. It will definitely tick all your boxes and hit it off in the flavour department. 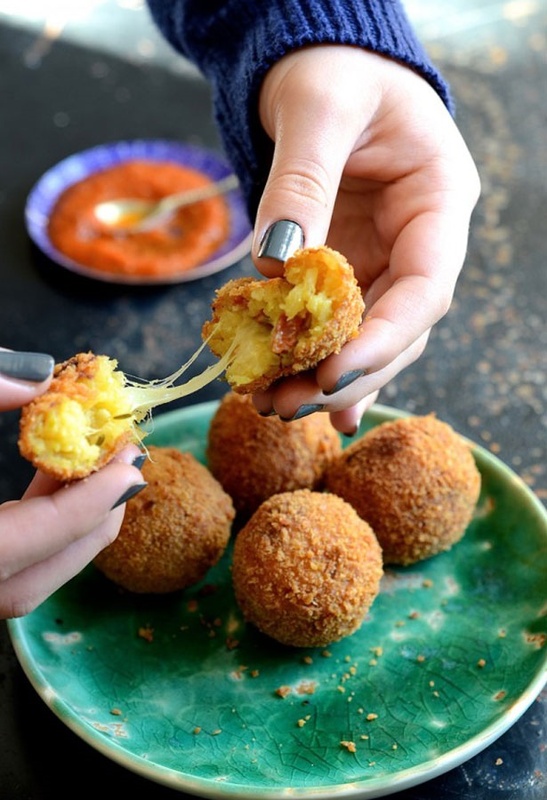 If you're looking for an expensive, deep-fried indulgence, this saffron arancini is the one for you. 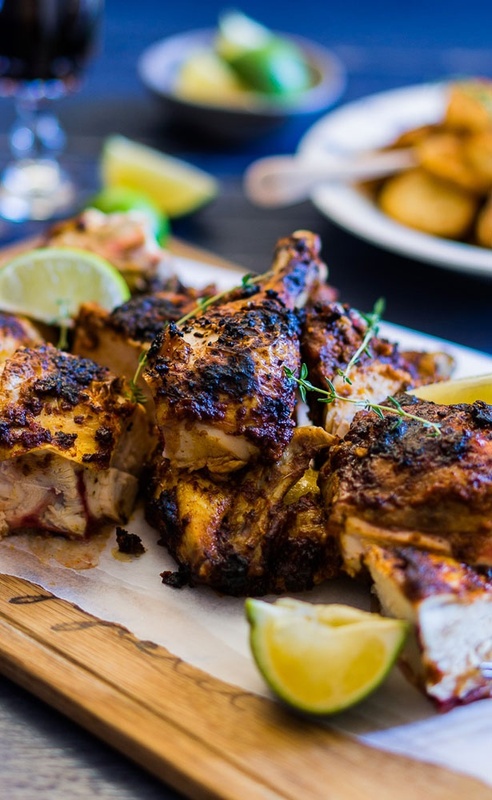 Peri peri chicken is an old South African favourite and this one can be made in the oven or dust off your braai tongs and throw it onto the coals. 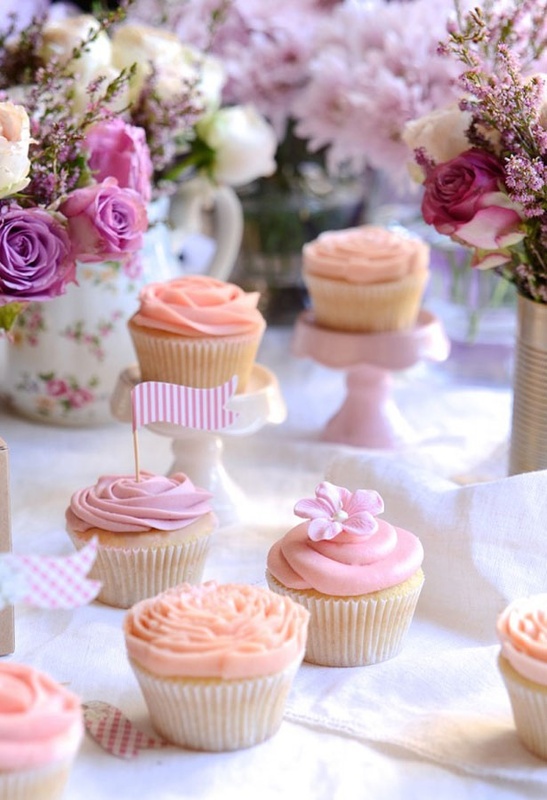 Spring should be celebrated with these vintage vanilla cupcakes with lemon curd buttercream. Almost too pretty to eat! 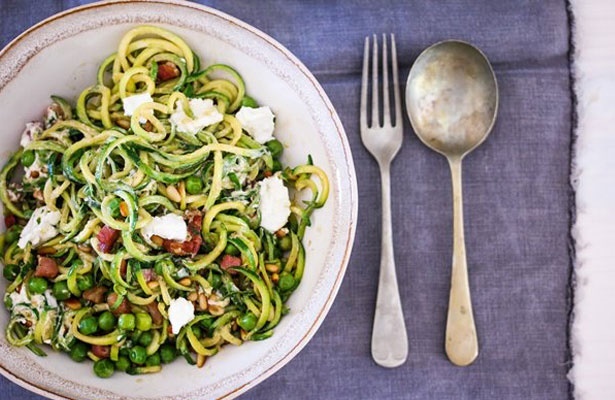 This ”Courgetti” with peas, pancetta and Goat’s Cheese is 99% guilt-free, with spiralised courgettes - courgetti. 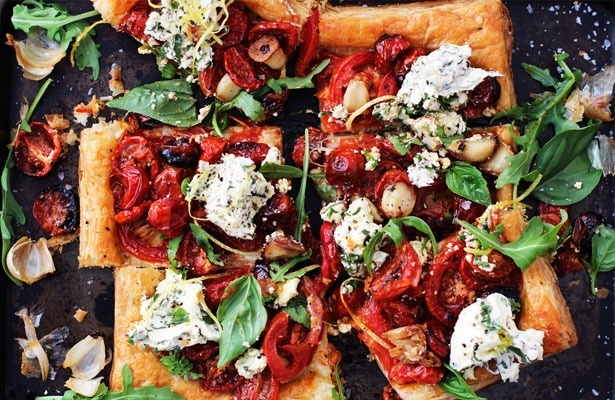 Tomato tart with roast garlic will make a refreshingly, delicious vegetarian option and it doesn't take too long to whip up. This one requires quite some effort but it's well worth it. The spiced apple pie with creamy caramel custard will leave you feeling nostalgic and it's a winner for a Sunday afternoon sweet treat.